Every day families across the country are raising money so their child with autism can receive the life changing affects of an autism service dog. It costs Good Dog! 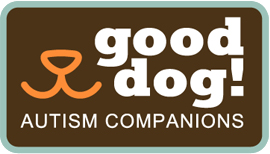 Autism Companions minimally $26,000 to raise, train and partner an autism service dog with a child & family. This includes intensive family education and post-placement support. Each family pays a "Fee for Service" that only covers a portion of our total cost. 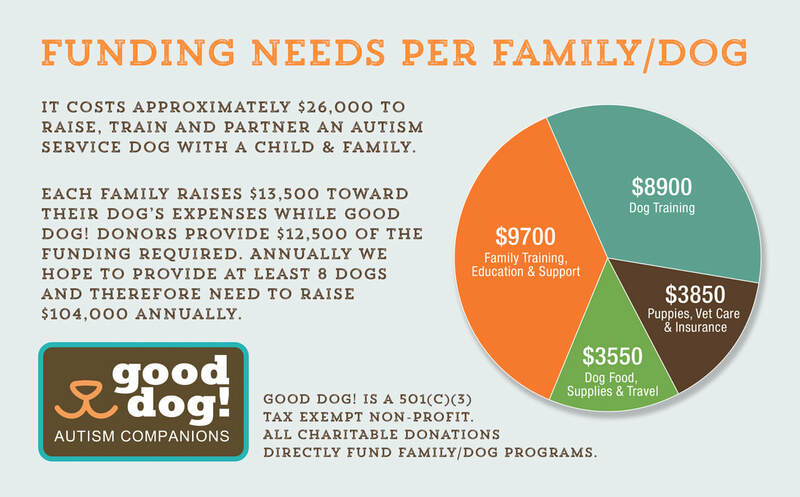 Due to the generous donors listed below we are able to place dogs with these families through the Good Dog! Scholarship Fund. In Good Dog! training and handling, the “happy circle” command uplifts and focuses our canine/human teams to achieve more. It is a favorite for both canines and their people. We cannot deliver the happiness that a Good Dog! brings to families without donor support to help our families raise the funds necessary to provide our programs.